Well , hello and welcome to my petpage. My name is Mystyqee, and I am a lady of refined and exquisite tastes. While you're here, I expect you to be on your best behavior, so please make sure your shoes are clean before you come in! Muddy footprints on my antique rugs are quite unsightly. While you're here, please feel free to look around. I love talking about books, myself, and proper manners and etiquette in high society. If you do too, I'm sure we'll have a grand time! Sorry, what did you just say? You'll have to speak up, I cannot tolerate mumbling. Anyway, do help yourself to some tea and assorted pastries. I have provided napkins and cutlery, all I ask is that you display proper manners. It's always a treat to have guests over, no matter how unexpected, it's a shame I don't do it very often. Well, what do you wish to know about me? I have always been the rather intelligent one in the family and I do say I fancy the odd book. Be that as it may, books seem to be in rather a short supply, so I usually have to spend my days re-reading some of my favorites (or at least the ones that haven't turned to smoke). I can't complain, of course, but it would be nice to get some new books in every now and then, and I don't just mean colouring books! Since I have read Basic Potion Brewing, I have also become quite interested in mixing potions, so I have been built a small plant laboratory to aid my experiments. I can mix the occasional composite or two, but it seems my horrendous cooking has also transferred into my potion brewing ability. While I do enjoy mixing the occasional composites, though, as of late I seem to be deciphering an ancient book I have in my possession. Judging by the shape and calligraphy of the characters, I am led to believe this book is written in ancient Sahkmetian, but my knowledge of that dialect is quite limited, and I have only been able to decode a small paragraph. That book is a work-in-progress of mine, so I am told I am often seen with it. I spend my days learning all about the worlds of Neopia, its history, cultures, and sciences. In the absence of Neoschools, I have been left to my own devices to further my education, and what better way to do that, than to read the steady supply of free books delivered right to my door! I don't have to brave the dangers of the world when all the answers I need are written down on pages, enjoyable from the comfort of my own home. Hmph! 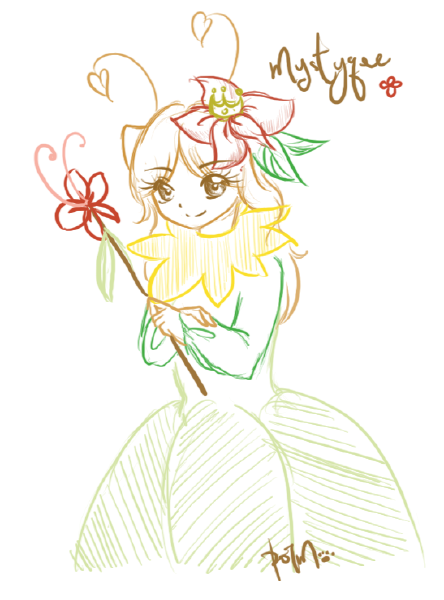 and quite recently, I have had a small Aisha child thrust upon me. If it were up to me, I'd find her a home elsewhere, but I've been told to be a respectful host. If anyone but lady misty had told me that, I would have objected! One must not bite the hand that feeds it. Age: I beg your pardon?! Color/fur: Pale Pink, with orange hair. 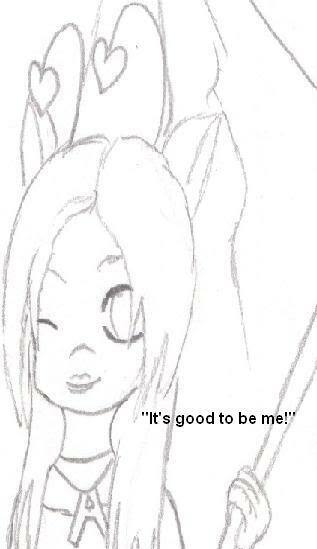 Traits:Her ears hang up, like regular Aisha ears, instead of down. Petpet: Seht, the Ghost Anubis, though he wasn't always ghost. Owner: She lives by herself, but is financially supported by the mysterious Lady misty. 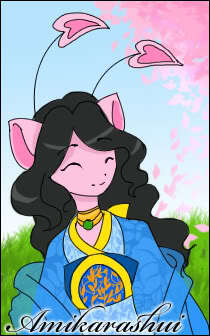 Friends: Lady Amikarashui and Black are two good friends of hers, and she also catches up with Aevelynne. Personality: Polite, knowledgable, and a tad pretentious. Holds manners and pleasantries in the highest regard. Can't cook, despite reading several cook-books. Does dance, but only ballroom. She often dreams of exploring the world, but she is too refined and ladylike for travel. Don't tell anyone, but secretly she dreams of adventure and romance ;) Pardon me, but it is rude to tell secrets! Beautiful, isn't it? I received this in the mail not too long ago, though I'm not sure why. This music box plays a beautiful melody, and it seems this box was made by someone with a lot of care and love. I don't know who the figures are supposed to be... but it sits above the fireplace and seems to complete the room. I don't think this music box was intended for me, but maybe one day I will have someone I can give it to. Now, most of these people aren't my family, rather they are acquaintances I often see or talk to. I'd like to say I come from a long line of noble Aishas, but, well, we can't always have what we want. Oh! Don't even get me started on that scoundrel! This unsavoury woman is a thief, a liar, and a pirate! She has disregarded all proper manners and refuses to be a respectable member of society. In fact, the only time I see her, she ends up stealing some of my possessions! Hard to believe that she is my sister. Ah, finally, someone who I am pleased to introduce. Aevelynne is a polite little girl I happened to meet by chance one day. Though she is around the same age as Tangeriiine, Aevelynne is much more well-behaved. We often have tea in the afternoon, and sometimes we go to the market together. She is such a happy little girl, she almost reminds me of a younger version of myself. I am doing my best to make sure she turns out to be a properly educated lady, such as myself. Well, as I said, I don't have guests over very often, but I have had the pleasure of meeting a few interesting people. Would you perhaps like to have tea sometime? Black was a really good friend of mine. We used to have lots of fun, and our families were really similar. That was a while ago now..
Black has a new home now, and although it's still her.. she's not the same friend I used to have. Amikarashui is another good friend of mine. Whenever she comes to visit from Shenkuu, we always catch up for a good spot of gossip. In summer, we set outside in the garden and drink some refreshing Bamboo Tea in the sunshine, it's quite lovely. Ami always keeps me up to date on the latest Shenkuu fashions, and she tells me all about how things are going in her Forest Realm. 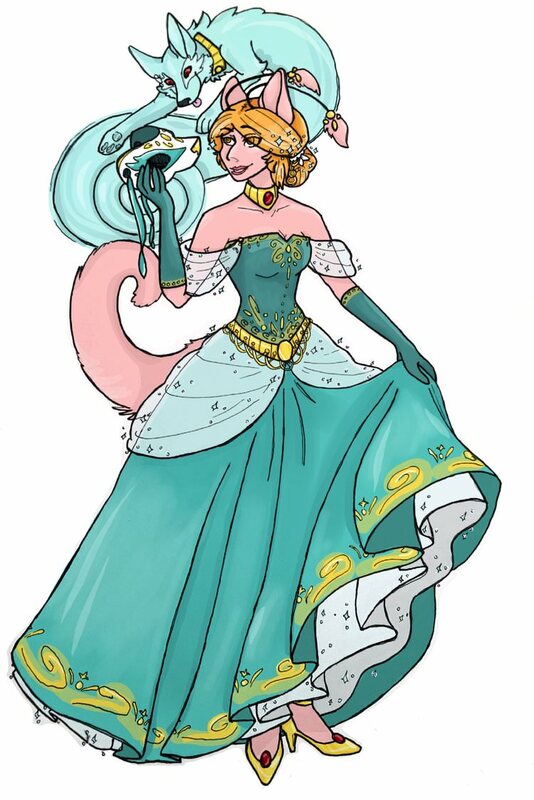 She often has the pleasure of meeting royalty from all over Neopia! She does lead quite an exciting life. Ami also enters the BC every now and then - she has five trophies! I.. only have one. TT____TT Maybe someday I will enter the BC again ~ but if Ami is my competition, I'll be in trouble! Have you read Amira: Princess of Class or perhaps Eventide and Prejudice? They're books written by one of my favourite authors, Miss Fairycream. Her stories seem so captivating.. I really like her writing style - whenever I read her books it feels like I'm in the story itself! I've never met Miss Fairycream, but I've heard that she lives in Neovia, which is not too far away from here. I'm told that she stays out of the spotlight quite a bit though, she doesn't go to book-signings and she doesn't have guests over for tea. I may never meet her, but I can still enjoy her books! I hear her next book, Downton Habi(tarium), is coming out next month. 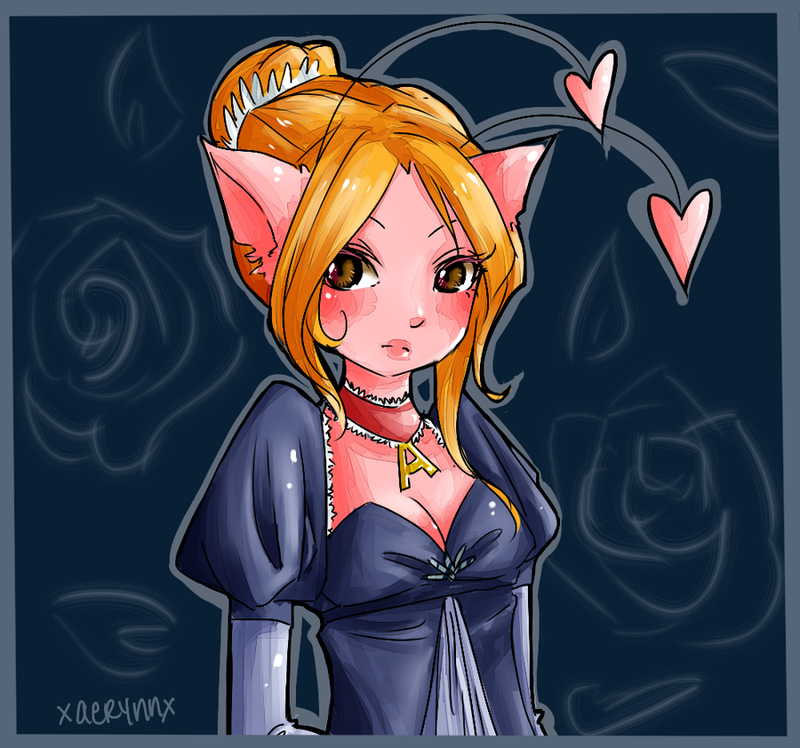 Now, contrary to popular belief, I don't dislike all Royal Girl Kyriis.. only the ones that try to join my family. I've never met anyone quite like Meg before - she is kind, and caring.. and she is also quite literally the strongest young lady I've ever met! Her battledome statistics are nothing to trifle with and I'm sure she would be a formidable adversary to anyone in the battledome. Although her strength is great, unfortunately Meg is not always.. er, as graceful as I. She is a good person though, and she looks out for her family and friends. Meg and I don't always agree on every topic, and our interests can vary quite greatly, but she is lovely company and I love catching up with her to vent about family dramas. Adoptables seem to be commonplace amongst petpages that I have seen, so, not wanting to be without, I decided to get some of my own! Unfortunately, my adoptables are for customs only - which means the adoptables below aren't available in the standard paint brush colours. 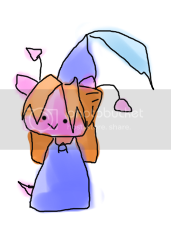 Never fear, though, as Tangeriiine has Aisha adoptables in all the paint brush colours you could want. 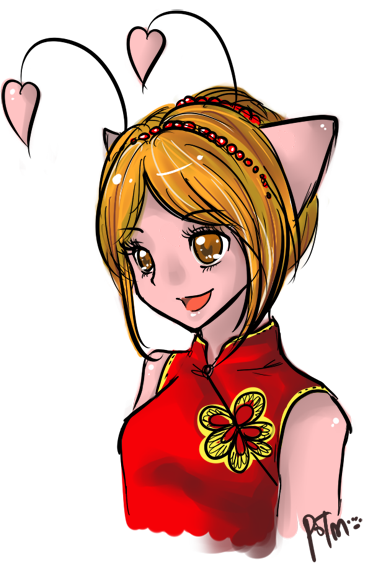 If you'd like a custom Aisha adoptable, why don't you check my owner's userlookup to see if she could make some for you, mistyqee? 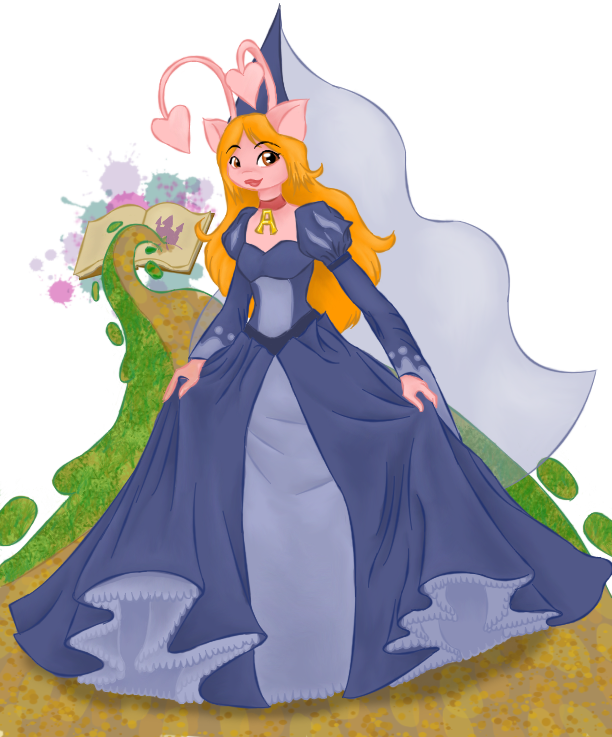 While there are many of us ladies living in Neopia, there are a few who have been publicised and can be found somewhere around Neopia. I have compiled a small paragraph of information for each of them! Why? because I can, of course! Would I pass up the chance to read more? Another well known lady from the Lost Desert, Lady Osiri runs Osiri's Pottery. She also appears in The Great Desert Race, alongside Tomos, Princess Nabile, and Brucey B. Her seemingly vain attitude leads me to wonder whether her title of 'Lady' is a proper title, or whether Osiri just likes to call herself that. 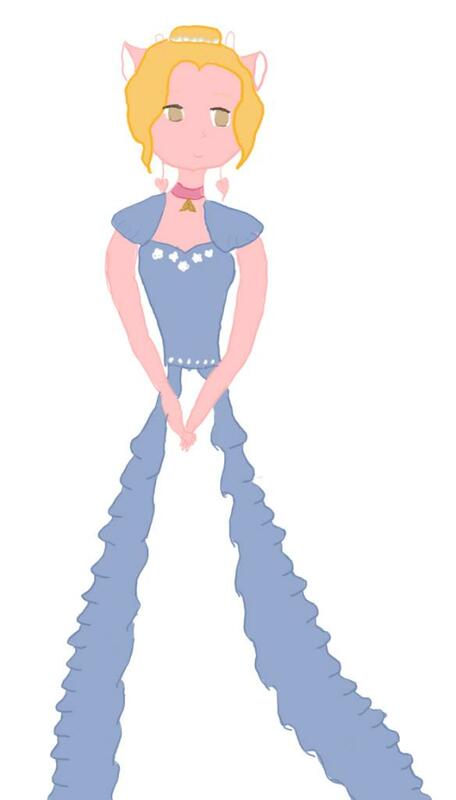 Mind you, Lady Osiri always presents herself in a neat and beautiful manner. If you're ever in Sahkmet, be sure to give her pottery store a visit, You'll not find such exquisite antiques elsewhere! 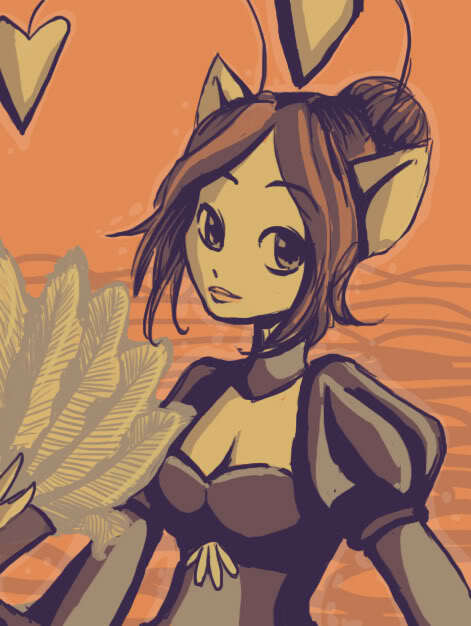 Known only by her collectable card, The Storyteller is a lovely Aisha (who seems to be of Neovian descent) who reads stories to small children. I find her efforts quite admirable, and her occupation suggests she shares my passion for books. Perhaps one day I shall venture to the library and volunteer to read to the children, there, mind you, I don't feel very comfortable with children. They usually have such disrespect for proper manners! The book featured in her collectable card is titled "Neo Tales" and she is shown reading a story about a Techo in the Lost Desert. 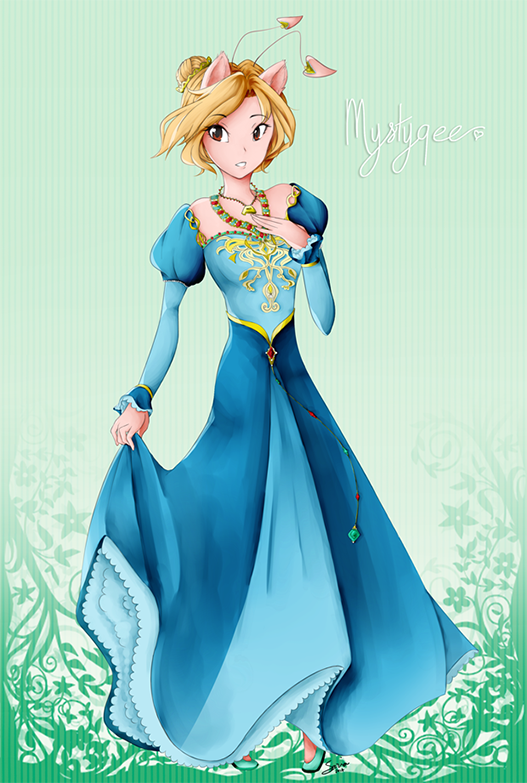 I must say her dress seems quite lovely, as well! Well, where to start? Jerdana is a powerful sorceress residing in Altador. Serving King Altador alogside ten other heroes, Jerdana is known as "The Protector" and used her magic to save Altador from The Darkest Faerie, in the plot so named. 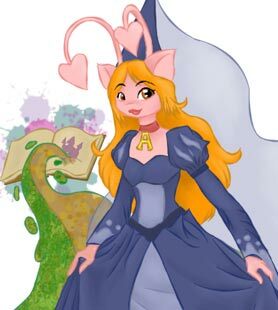 She also cast a spell to erase any memories of history in Altador, and also created several tasks and challenges to be completed in a mini-plot. 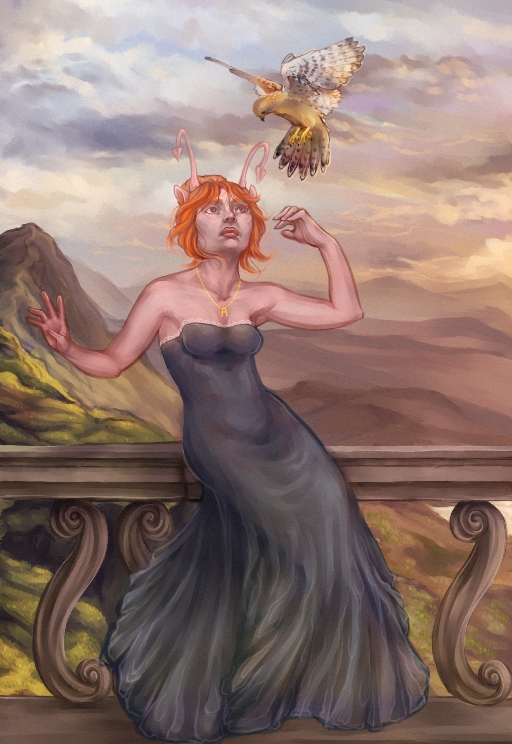 Though Jerdana has no official status, her position in the council suggests she is of nobility. If you are a gentleman and happen to venture to the Kiss-The-Mortog pond, you might get a chance at seeing this lovely lady. 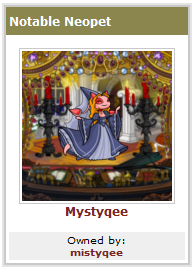 For a mere fifty neopoints, you may choose a mortog, and then you, well... uh, surely you know how the game is played. If you choose the right Mortog, gentlemen, then she may transform from a Mortog into her true form. Ladies, if you wish to try your hand at this game, the right Mortog will transform into a handsome Kacheek Prince! 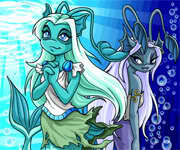 These two Aishas are sisters that live in the underwater kingdom of Maraqua. Orphaned by the destruction of Old Maraqua, King Kelpbeard took them in and provided shelter for them. Both Isca and Caylis have the ability to foretell the future; Isca in her dreams, and Caylis in her nightmares. While Isca's talent was celebrated, many thought Caylis was responsible for the disasters she saw in her nightmares, and was cast out of the kingdom, only to later be welcomed back after the Curse of Maraqua had been lifted. Finally, we have Lily, a pink Aisha from Neovia. 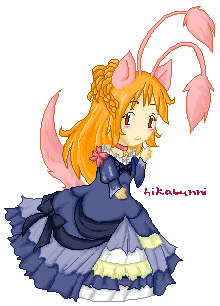 While she is only shown breifly, Lily appears as a polite young lady, Almost a representation of yours truly, if you ask me!. 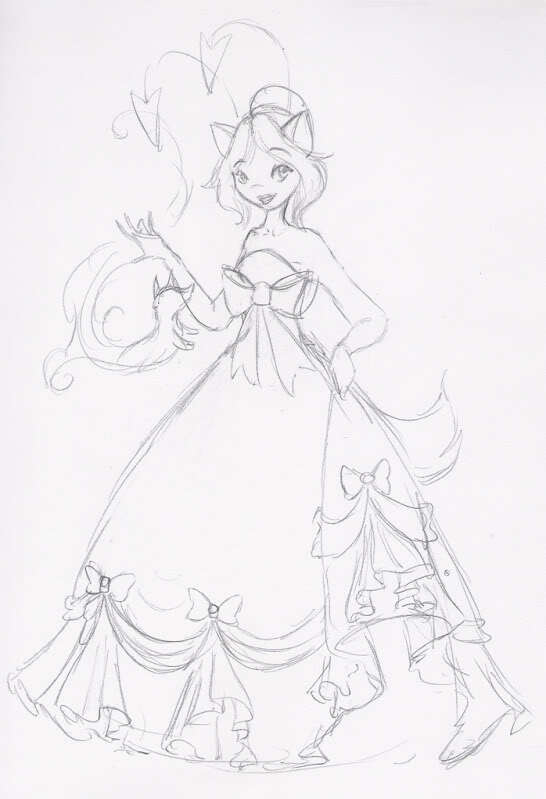 It seems she is also quite popular among the gentlemen, as it seems she is being courted by a Green Kougra named Oscar, and is also admired by Bruno, a main character in the Tale of Woe plot. Unfortunately we don't see her at the end of the comics, I would loved to have seen a romantic reunion between her and Bruno.. *sigh*. Although technically, Bruno would have aged ten years, and therefore would be quite a bit older than Lily. 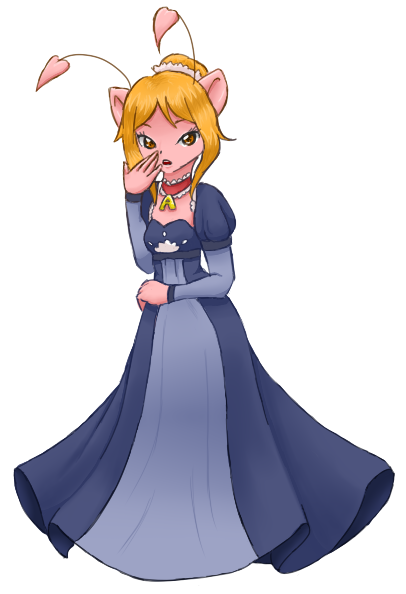 Sadly, of course, there are some ladies of Neopia whose title is most unfitting, who display very UN-ladylike manners. I am not one to name names, of course. THIS IS NOT MINE, I SWEAR TO IT. Now, if you want to be treated like a lady, the first step is to dress like one. All too often I find myself in the marketplace and I'll come across some young ladies wearing outfits that leave nothing to the imagination, and I am simply appalled. Neovia is the authority on modest, practical fashion, and I do recommend this book. Remember ladies; skirts, dresses and trousers must always go past the knees! ALWAYS. No Need to be Rood The second most important aspect of being a lady is to treat others with humble respect and to know how to act accordingly in social situations. Manners are very important in some cultures and societies and failure to act accordingly may be offensive to your hosts or guests. If it were up to me, everyone in Neopia would read this book. Keeping the Peace It is one thing to know manners, and it is another to keep a level head in stressful situations. From reading Keeping the Peace, I feel I gained a better understanding of keeping harmony between the people in my household. Arguments and disruptive behaviour are an unfortunate part of life, but it is a show of good character when a lady is able to keep everyone at peace, including herself. Basic Survival S(k)ills I suggest this book in the hopes that one day you will never have use these s(k)ills. Though it is very unlikely for any of us to ever be in a situation where we are required to fall back onto our basic survival instincts, I feel this book is a great help in case that ever happens. When left to our own devices out in the wild, one cannot simply wait on prince charming to come to the rescue. This book describes the basics of creating shelter, sourcing food, and making signal fires. The Geometry Series As well as presentation and manners, I also hold education in the highest regard. Nothing irks me more than the uneducated, and so I have read countless books on history, maths, astrology, genealogy, diplomacy, and - well, the list does go on. Though history is my favorite subject, I do recommend that ever lady educate herself in at least the very basics of mathematics and science. Famous Paintings Learning about the various art styles and eras in Neopia's history also taught me about the previous cultures and societies of the world. Art has played a major role in the development of neopia, being both a formal and practical media, it's uses ranging from the finest oil paintings to the most complex of Moltara's refinery diagrams. You may also, from time to time, see me featured in Lady misty's comics. I don't mind, as long as her representations of me stay true, and I am not made the fool. I do wish to keep my personal appearances up! Unfortunately, it seems that some of her comics feature the antics of both myself and my sister.. please be aware that I never associate myself with such scoundrels! First in species and Seventh Overall with 390 votes. Thanks for your help! I was also featured in the Pet Spotlight! I must say it was quite the rewarding experience. 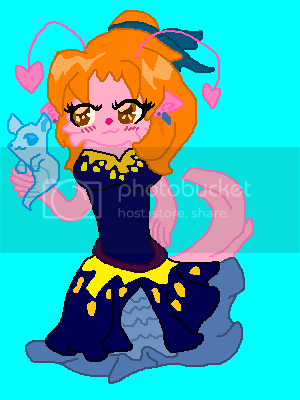 Not only did I receive a trophy, but a lot of people went out of their way to congratulate me and send me neomails; it was lovely C: And now Seht has won the Petpet spotlight! I'm so proud of him! have also been lucky enough to receive artwork and portraiture from the very lady misty herself! now that is something rare indeed! 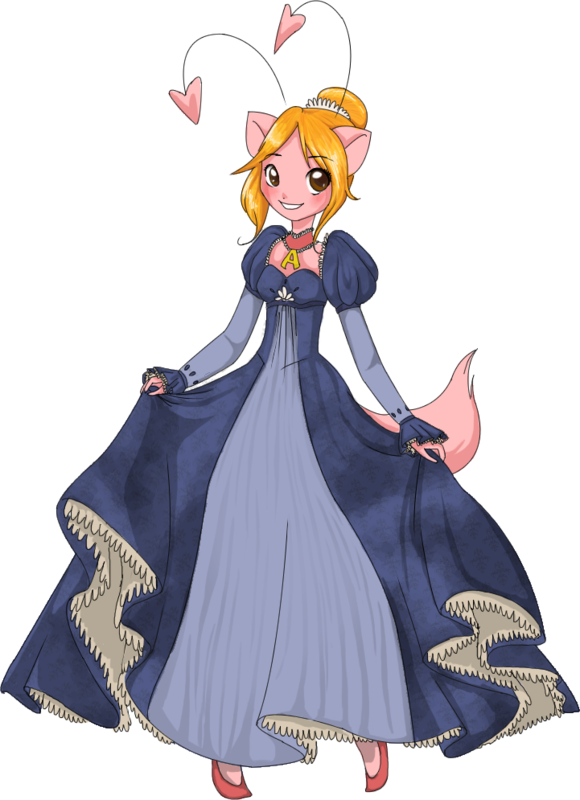 I always try to keep up with the latest fashion trends, and it seems that I have been spotted in Neopia as a Notable Neopet! What an honour. I do hope to one day win the customisation spotlight, but my continuous attempts have been quite vexing. It is rare to see an unconverted pet win the customisation spotlight, but it has happened before, so there's still hope for me yet! I forgot I had this! Over the years, I have quite a few stories written about myself. Certainly not as much as some people, but more than many. If you happen to ready any, keep in mind that some of these stories are quite old, so forgive them if they're.. terrible. You can ready the official spotlight over here! Pet Spotlight entrant number 442, sit down, please. A pale pink Aisha obediently sat up from the vast queue of pets and stood behind the desk of the spotlight judge, watching him. The judge, a green Xweetok, looked up from his assessment papers. Please, Ma'am, take a seat. The Aisha frowned slightly. You're not going to stand up in the presence of a lady before she is seated? 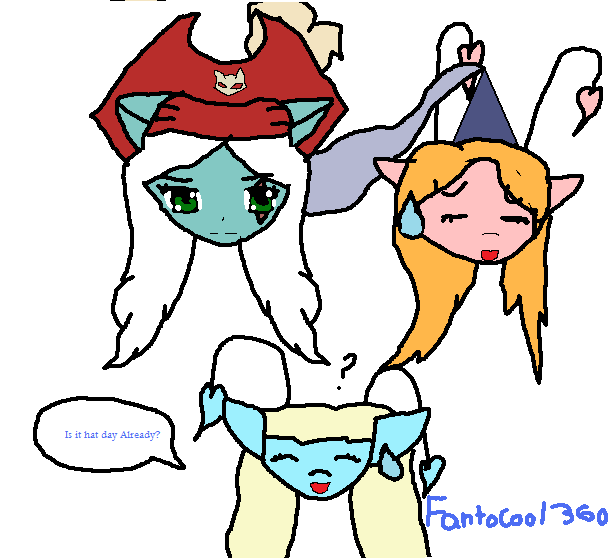 The Xweetok tilted his head slightly and raised an eyebrow, pondering whether the Aisha was perhaps joking. 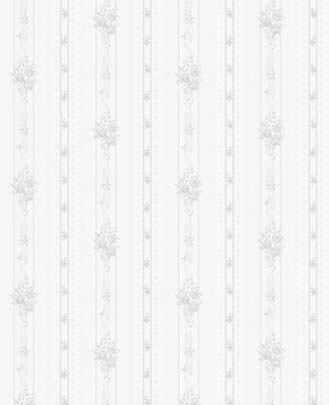 His -disallowed_word- 398)'. I find history most fascinating of all, and though I have read many books on the subject already, the fact is that there are simply so many books out there on the subject, that one simply could not read all of them in the one lifetime! The Kougra nodded, writing notes down on the assessment page. Tell me, he said, if of course, you don't find it too forward, about your family. Mystyqee sighed. Unfortunately I have one sibling, a sister. A twin sister, actually. Though we look nothing alike. Our paths have led us to different places. While I chose the refined life of an aristocrat, she chose the life of a pirate, disregarding all respects to practical society and manners, pillaging, stealing, and all that nonsense. She looked away, frowning, with sad eyes. I do worry about her, of course. I haven't seen her in many years... I suppose it would be nice to know she is safe. The Kougra noticed this was making her uncomfortable, and moved on. Perhaps we may also discuss your accommodation, then, Lady My? The Aisha looked up, no longer lost in her thoughts. Oh, of course, she said. Well, I live in a stately manor, on a hilltop on the border of Neopia Central. It's quite divine, with lavish gardens and rose beds, complete with Ivy growing up the outdoor walls.. and the view of the sunset in the summer afternoon is really quite lovely, too. I have been given rooms for my library, as well as a small plant laboratory. I've been reading the books Growing Exotic Plants and Basic Potion Brewing, so I thought I might perhaps dabble in some potionry, with some home grown herbs and plants. I always enjoy having company over for tea in the outdoor dining area overlooking the garden. She frowned again. Unfortunately, at the moment I find myself sharing my house with a small Aisha by the name of Tangeriiine. Though she is certainly well behaved for a child of her age, she is still rather curious and outgoing. Always intrigued about my dress collection, she said. I think she just needs reminding of whose house she is in, and that she should respect her host a little more so. The Kougra paused from his writing. And whose house might it be? The Aisha stopped. Well... I suppose it may not be my house either, but in my defense I had already established myself and been the sole occupant for quite some time before she even arrived! The white Kougra finished writing on the page, arranged the papers neatly, and left them on a pile on the desk. I think we have enough written here, he said calmly. He stood up from his chair, and watched as Mystyqee also stood. He took her hand, but did not shake it up and down. 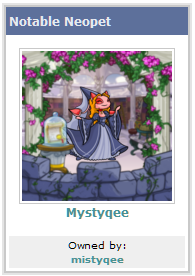 Thank you, Lady Mystyqee, for your time. I will ensure your answers will be directed to the proper people, and they shall send a letter of response in due time. Please, have a pleasant evening. The Aisha smiled, and curtseyed. Thankyou for your hospitality, good sir, and I wish the same onto you! she said, walking past the line of pets and exiting through the door. The green Xweetok returned, and resumed his slumped position in the chair. He turned to the White Kougra. Thanks for dealing with her. I owe you one! he said. Sometimes the attitudes on the pets we get here are unbearable! The Kougra smirked. Right nutters they are. Delusions of grandeur. Think they're better than ev'ryone. He snorted and looked back to the line of waiting pets, glancing at where his position in the line once was. There were still about ten pets in front of him in the queue. He turned back to the Xweetok, and eagerly pounded his hands on the desk. Right! he said. Am I next? Lady My looked up from her book to the sounds of her Anubis, Seht, barking downstairs. With a quick glance to the clock and a smile, she placed a bookmark in between the pages and headed out the room. As she reached the stairs, she was greeted by a blue Anubis wearing a beanie and green knitted scarf. Barking happily at her presence, he ran a few feet towards the front door, and looked back at her impatiently. He barked again as if to hurry her up. Walking calmly down the stairs, the Aisha followed the sounds of scampering footsteps until she caught up with the small ball of fur once again, who barked happily as he sat next to the pile of books that had been shoved through the mail slot. As her friend Aevelynne simply put, it was 'New Book Day'. The Aishas murmuring were interrupted by the sound of Seht growling. Looking over, she saw the Anubis poised to attack with his back arched, growling at a tattered brown book. As she looked closer, Mystyqee could almost see.. was it glowing? Curious, Mystyqee leant in to pick the book up, but Seht barked angrily before she could. What's the matter, Seht? she asked, a tad confused. She had never seen him act this way, especially about a book. Reaching in again, she found Seht to run between her hand and the book, and bark angrily again. Still a bit surprised, Mystyqee regained her composure. Seht. she said in a professional voice, and giving him a stern look. Stop this nonsense. With a sound of frustration, Seht obediently trotted to Mystyqee's side and sat down. She reached over and picked up the brown book, which was embossed with the image of an Anubis at the front. Turning the book to read the title, Mystyqee frowned as the only letters on the spine were the numbers 1337. Opening the cover, she ran her fingers along the front page and her eyes rested on the calligraphy. The title seemed to be in ancient Sakhmetian. She groaned. 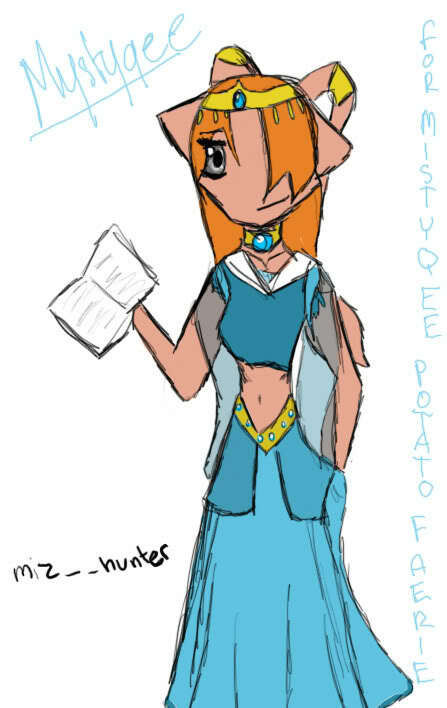 Mystyqee could read almost all of the languages of Neopia - but Sakhmetian was quite a challenge for her. Still, looking at the shapes of the characters she could make out the word Anubis and another word that resembled information. As she motioned to turn the page, she once again found Seht growling, but this time it was at her. Seht, what is the matter with you? she said impatiently. Forgetting the remaining books on the floor, Mystyqee stood up and headed back to her study, Seht following her at her feet. As she turned to enter the study, she closed the door, leaving the Anubis outside. As she sat behind her desk, she could hear him scratching on the door and whining to be let inside. Ignoring him, she began to flip through the pages, and tried to decipher what few words she knew. She would stop, here and there, and find simple words she could understand. 'Anubis', of course, was featured a lot, but there seemed to be recipes and diagrams of the Anubis' anatomy, as well as mentions of Sakhmetian foods and Pyramids of the Lost Desert. Though Seht's whining and scratching only lasted several minutes, Mystyqee found herself intrigued by the book. After a while, she got up and opened the door, but Seht was no loner behind it. As she walked back down the stairs, she passed her bedroom, and looked over to see Seht fast asleep on his Regal Purple Petpet Cushion. After making herself a cup of tea in the kitchen, Mystyqee sat on the armchair of the living room and resumed reading the book. As she continued to scan through the pages, her finger stopped on one page in particular. She recognized most of the shape and characteristics of the letters, but they seemed to have been altered to change their pronunciation. Intrigued, she began to attempt to decipher the text. Now, that symbol is Kha, but added to the symbol Tep, with the additional stroke suggesting a ph.. she thought to herself. It should make a sound like..
As she continue reading, the next few lines Mystyqee murmured was a mixture of ancient symbols with altered pronunciation, and she was able to read the first few lines of text, before pausing to have another sip of tea.. The Aisha looked to read on, but stopped and gasped, dropping the book. The hieroglyphs of the sentence she had read aloud begun to glow, and as the book hit the ground, beams of light began erupting from the page. Stepping back, and shielding her eyes from the light, she watched from the corner of her eye as the light began to weave through the air like a pair of hands and watched as they slipped around the doorway. As she recovered from the blinding flash, Mystyqee looked back at the book. The line of calligraphy she had just read seemed to be burnt into the page, the letters searing and giving off steam. 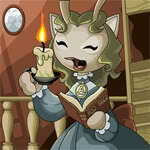 Grabbing a candlestick to defend herself, Mystyqee began cautiously moving back towards the book. Seeing no danger, she used the candlestick to flip the book shut. As she bent down to pick it up, she heard a sudden yelp from upstairs. Running up the staircase, she burst into her room. Her eyes darted around quickly to detect any movement, but there was none. Looking over at the cushion where Seht once napped, she gasped again. There were brief plumes of smoke that curled in the air, as the beams of light had, and soon dissipated, revealing an empty cushion. Spare the beanie and scarf Seht always wore; they were lying casually on the purple velvet. But Seht was no longer wearing them. Running over to his pillow, Mystyqee kneeled down and held the beanie. Seht? she called. Grasping the beanie in her hands, she could feel that it was still warm. Seht! she called a little louder. And again there was no answer. The Aisha looked down at the pillow. She knew Seht always wore his beanie and scarf, and the fact that they remained while he was nowhere to be found only painted the most horrible of thoughts in Mystyqee's mind. Her eyes beginning to water, she wailed out his name once more, but it was simply out of desperation. Mystyqee searched for her dear companion for days, but to no avail. As the days passed, she even thought she could see Seht, in reflections, or on shadows on the walls, but she credited it to nothing but delusions and the possible deterioration of her mental health. Two weeks later, Mystyqee woke to the sound of rain outside. She looked over at the clock - she was feeling rather depressed again that morning and had decided to sleep in extra late, again. Groaning and turning over, she tried to cloud the sounds of the rain hitting the roof and attempted to get back to sleep. two sharp barks came from downstairs. Groaning again, Mystyqee turned over and buried herself deeper in her sheets. After a few moments for realization to sink in, she sat back up and was a great deal more awake. Leaning over, she peeked curiously at the doorway. After a few moments, two more barks followed. Mystyqee scrambled out of bed and hurriedly grabbed her nightgown. Rushing to the staircase, she looked down, and simply could not believe her own eyes. There, standing at the bottom of the stairs, was Seht, who barked happily to see her before running down the hall and disappearing from view. Hurrying down the stairs. Mystyqee followed him. There, at the front entrance, amongst a pile of books, was Seht, who wagged his tail happily and barked to greet Mystyqee. His fur was a light green tinge, but it was him. Mystyqee stood in disbelief. Seht barked several times more, but she seemed to be in a state of shock. Confused, Seht tilted his head and took a few steps forward and, quite literally, disappeared in a puff of smoke. It wasn't instant, like when she had read books, but a gradual transition, like a whiff of smoke dissipating into air. The Aisha' eyes widened. Was she perhaps still asleep? She took several steps forward to where the Anubis had just been standing, but in the process, smoke began to surround her. She watched as the plumes gradually lifted and danced in the air around her, and soon after it seemed the smoke took shape and became Seht, and she watched as he ran through the air around the chandelier, leaving a smoke trail wherever he went. Mystyqee, quite overcome by the spectacle, stood back and sat down on a nearby chair. As she took a few deep breaths, trying to make sense of things, smoke began to arise in front of her, and Seht soon appeared on her lap. Tilting his head once again, Seht let out a curious whimper and licked her face. Mystyqee ran her hand over her cheek. It almost felt.. real. 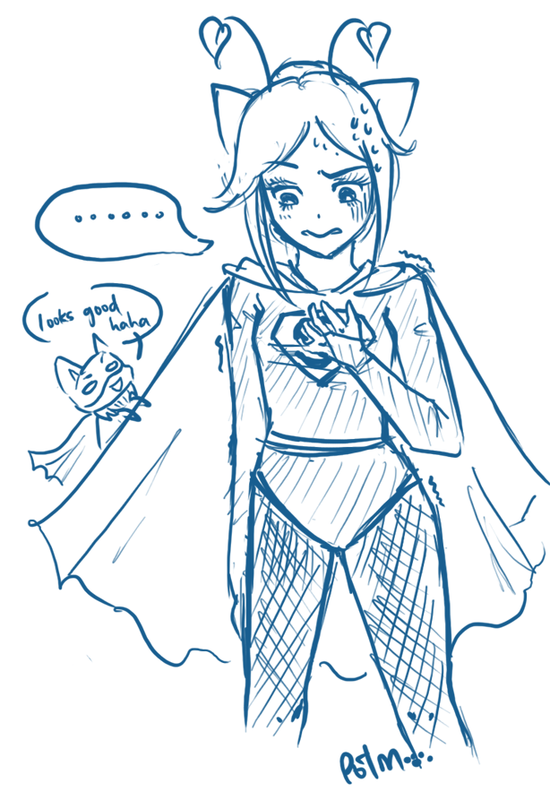 Though it took a while to get used to, Mystyqee eventually learned to live with Seht's new.. appearance. he didn't need food anymore, but he certainly acted the same way he always had; though it was discovered, one day, that he could now move through walls, much to the dismay of the mailman. Mystyqee, though, was simply happy to have her companion back, and treated him with as much respect and kindness she could, after feeling such horrible guilt about causing the whole ordeal, but Seht, of course, not being the smartest of petpets, seemed to forgive her almost instantly and simply enjoyed being by his owner's side once more. The book, which was never opened by Mystyqee again, found it's rightful place at the back of the bookshelf, under lock and key. However, during a visit with one of her friends, Ankhera, the topic was brought up in conversation amidst small talk. You see, I was given this book to read she said, handing it to the desert Poogle. I simply read one line of text, and before I knew it, he had simply disappeared into smoke. Well, I'm not surprised! said the Poogle, reading several pages instantly (much to Mystyqee's concealed envy). Surely you would know the contents of the book, simply by reading it's title! Mystyqee looked disappointed. But Ankhera, what -is- the title of the book? Anubis Toxicology Reports. Everything you need to know about how to make an Anubis sick. And lots more... she said. Well, I'm guessing there's a great deal more, if your experience is anything to go by. Now Calm down, Seht! cried the Aisha as she bent down and reached for the book. The ghost Anubis grinned playfully and tightened his bite, pulling the book away from the Aishas hands. The Aisha stood back up, rather irritated, her hands placed bitterly on her hips. Come on now, hand it over! she protested. The Anubis barked happily and leapt into the air, plumes of smoke curling behind him. 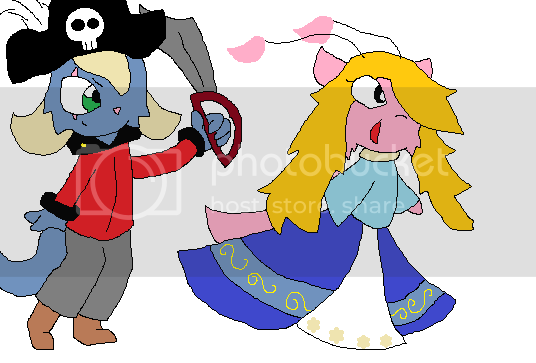 He happily ran several circles above the Aishas' head, carrying the book with him. Oustretching her hands, the Aisha attempted to grab the book, but the Anubis only rose higher in the air to make the book out of reach. Frowning, The aisha gathered up the other scrolls and books that lay sprawled on the floor and looked back at up the Anubis, muttering to herself. She paused for a moment as she began to think up a solution. Carrying the books in her hand, she tested her thoughts by walking a few steps forward. Looking up, she found to her delight that Seht had followed her, and was now hovering several metres above her head, still holding tightly to the brown book. Taking a few steps back for good measure, she smiled deviously as the Anubis did the same. With a quick glance towards the kitchen, the Aisha took a quick breath and ran down the hall, immediately setting the books down on the table and closing the door behind her. A few split seconds later, and the Anubis galloped through the wall overhead, and barked happily as though it were a game. Ther Aisha smiled at the sight of him. There was a muffled thud as the book, which hadn't been able to pass through the door, fell to the ground in the previous room. She opened the kitchen door to find it lying on the carpet. Picking it up, she added it to the neat pile of books lying on the table, smiling to herself at her accomplishment. 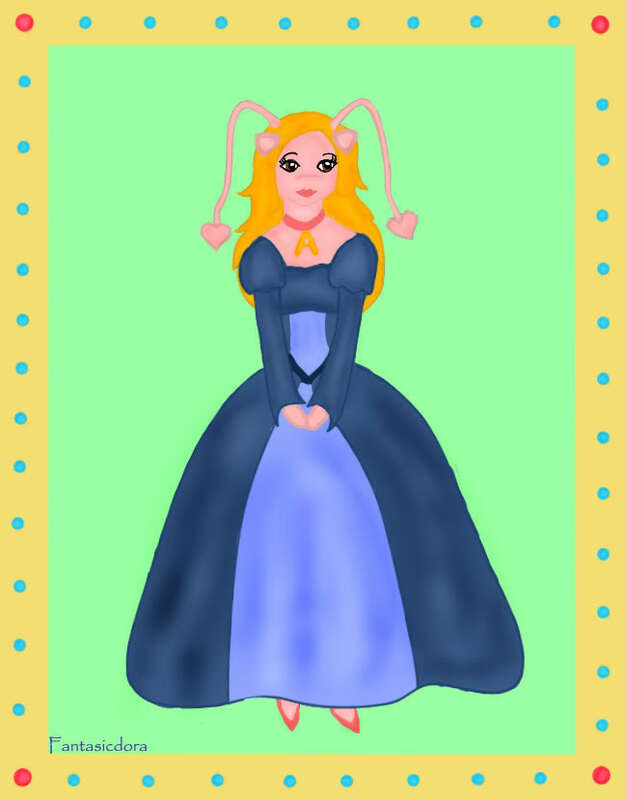 Straightening her dress and dismissing the matter, the Aisha walked over to the stove and put on a kettle of water. Making herself a cup of Tchea Tea, she picked up the first book on the pile (which showed no signs of teeth marks or damage, spare the few tumbles it had taken) and sat in the lounge. 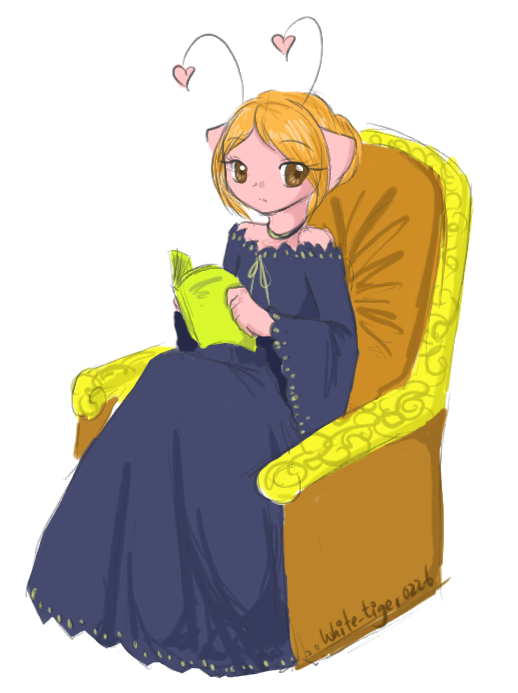 Sipping from her teacup, she opened the book to the first page and looked up over by the corner of the room, where Seht had curled up into his Veespa Petpet Bed and was gnawing at a chew toy. The Aisha smiled. It had been a few months since Seht had become a ghost, but they were both still adjusting. His water and food bowl were gathering dust, as was his petpet bath, and Mystyqee herself had discovered on several occassions that she didn't have as much privacy as she did before. Whether the doors were closed or not, Seht would gallop into the room at full speed and interrupt her, barking happily for attention. It was hard to train a petpet who could do as he wished. When Mystyqee had tried to be firm with him, he would simply run through the walls, or run above her head, disregarding her authority. Luckily she was still able to give Seht an evil glare when he had done something wrong, and his simple childlike nature, it kept him in line. 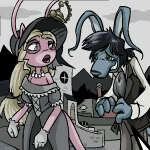 The Aisha looked up from her book again to find that the Anubis was no longer in his petpet bed. Looking around curiously, she could see the faintest hint of smoke out of the corner of her eye, and turned just in time to see the Anubis silently apparate on top of the couch, near her head, giving her quite a surprise. Gently floating down around her arm and resting at the couch cushion, the Anubis sat and tilted his head, yawning and arching his back, hoping for a good backscratch. Mystyqee smiled as she sunk her fingers into the wispy green smoke of his back, moving them back and forth in a stroking motion. The Anubis rested it's head on it's paws contently and closed it's eyes. The Aisha put her book down and ran her fingers along his back, scratching a bit faster, and Seht rolled over happily. Mystyqee went to scratch his belly, but moved her hands too quickly and ended up brushing away plumes of his stomach instead. Slightly alarmed, the Aisha pulled her hand back and looked away, frowning. Things weren't the same as they were before. Seht, of course, simply rolled back onto his feet and allowed his stomach to re-apparate. Looking over at Mystyqee, he noticed her sad demeanour, and tilted his head. Walking over, he sniffed her hand and licked it. Drawing her hand back, Mystyqee looked at it and smiled. He was trying to cheer her up. Recognising her smiling face, the Anubis barked happily and rose up into the air once more. Watching him float over to the coffee table and sniff the vase of flowers, Mystyqee took another sip of her tea. As she looked over to her book and contemplated attempting to read it once again, she noticed that Seht had stopped still, his ears upright with alarm. Following his line of sight, Mystyqee turned around and looked through the lace curtains. In the distance she could see a figure. 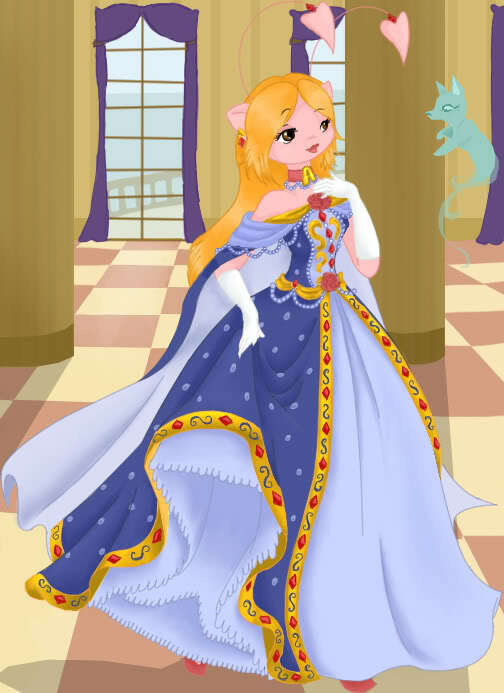 And as the figure continued to walk towards the house and become clearer, Mystyqee recognised his face immediately and turned back to the petpet as quickly as she could. Seht! she said sternly, watching him with serious eyes and pointing at him. No. The Anubis, growling slightly, took his eyes off the curtains and looked at the Aisha. At the sight of her frown, he pulled his ears back submissively. Gaining confidence, the Aisha continued her stern gaze and refused to let the Anubis evade it. Seht, shuffling uncomfortably at the sound of footsteps just outside the front door, let out a short whine but continued to watch Mystyqee, hovering down several feet and almost sitting down. Three loud knocks came at the door. Package Delivery! The Aisha, caught slightly off guard, tried to keep watching the Anubis. L-Leave it on the doorstep, please! Okay, whatever. Game the grufff male voice. There were muffled sounds as he rifled through his bag and grabbed the package. With a loud thud, he dropped it on the doorstep and turned, walking down the front steps. The sudden sharp sound of the package hitting the doorstep echoed through Mystyqee's head. It was enough for Mystyqee to break her concentration. At that moment, for just a split second, she frowned and her thoughts were replaced with anger. Excuse me! she barked, turning to face the doorway. Be careful with my mail! Realising what she had done, the Aisha quickly turned back to the Anubis, who was no longer hovering quietly near the coffee table. Jumping to her feet, she ran to the doorway just in time to see the running and barking ball of green smoke head down the end of the front hallway and run through the closed front door. Slowly walking down the hallway, she held her head in her hands as she could hear the sounds of barking as the poor mailman was chased down the street. She would have to try a bit harder next time. You can find the offficial spotlight here! I received Seht many, many years ago, back when I was younger (not too many years ago, mind you!). I had been living in the family home with my sister, but the previous year we had gotten into an argument and she'd decided to leave. She had never been the type to simply sit by and live the life of a proper lady; in fact, she was quite the opposite -- I found out several months after she left that she had assigned herself to a life of piracy, sailing the five Neopian seas while pillaging, plundering, and doing all the things we were brought up never to do. I disagreed with it all, obviously, but she was still my sister, and her absence made my heart ache. At the time she was my only friend, and I didn't hear from her until about a year later. It was the month of Swimming, and being twins, I shared a birthday with my sister on the 23rd. We were never too interested in big parties, but it was always a treat to buy the finest birthday cake we could find down at the Bakery and share it between ourselves. The previous year we had a Deluxe Chia Cake, and my mouth still waters at the thought of all the layers of custard and cream it had -- it was such a big torte that we had to eat the leftovers for dinner, too! Alas, however, the following year I bought an iced cupcake -- a substantial downsize, but anything bigger and I wouldn't have been able to eat it all by myself. I remember being mostly alone on that day; I went down to the shops and had lunch at a cafe, but I was by myself. I thought maybe a picnic would be nice, but it was a bit awkward to have one just for me. After I had gone shopping, I returned home. Some birthday cards had come in the mail, but as I made my way up the pathway to the doorstep, I found a rather large box sitting on the welcome mat, waiting for me. There were holes in it, and I could hear movement inside. The box was addressed to me and came with a handwritten note; I recognised the writing immediately -- it was from my sister. I hadn't heard from her in so long... I set my things down immediately and sat on the doorstep, eagerly opening the box. As soon as I did, out jumped a bright blue Anubis pup, yapping excitedly. He moved closer to me, sniffing my dress and my hands, and while he did so I noticed that he had a note attached to his collar. I tried to reach for it, but as I did, he noticed and ran back several paces, his tail still wagging excitedly. I stood up and took a few more steps toward him, but he happily ran off down the grassy hill and along the side of the house, as though playing a chasing game. Thinking quickly, I headed back to the front of the house and made sure the gate was shut so that he couldn't run off down the street, because that would have been quite a disaster. After doing so, I just had to go and find him in the backyard -- but being such a big house, our backyard is about the size of five Yooyuball fields. I was not about to approach this unprepared, so I put my groceries away in the kitchen and then headed out with a nice, wide-brimmed hat and the best in Petpet food I could muster... some leftover Chicken from the fridge. By then it was about mid-afternoon, so I tried to find the little Anubis as quickly as I could -- after all, it would be a lot harder to track him down at night. I started in the back gardens and worked my way up from there. It took me about 40 minutes, but I managed to find him hiding behind some shrubbery -- digging a rather large hole. He saw me and ran to greet me, licking my hands, although he was terribly dirty and smelled like he had rolled in something. I patted him and rubbed his belly, but agreed that we would both need a wash when we went back into the house. I held the leftover Chicken in my hand, and he followed me, so I led him back into the house. Getting him to have a bath was another adventure entirely, so I'll just say that it took a lot longer than it should, and by the end of it, he was clean, and I was the one who was soaked and needed a bath. It was only when I was settling down into bed later that night, with the Anubis curled up around my feet, that I remembered the note that was around his collar. It hadn't been there when I had found him, so it must be lost somewhere in the garden. I sat up, pondering whether I should go out and look for it, but the Anubis looked over at me, rather concerned, and I decided it would be better to start looking in the morning. I did go looking the next day for it, but as I said, our backyard is quite large, and I didn't end up finding it. I did, however, discover that the Anubis was quite fond of our large garden, and he delighted in chasing various Draphlys and an even some stray Urchulls we found in some of the trees. I gave up my search and decided to spend the rest of the day buying Petpet supplies in town, and I took the Anubis with me, who I nicknamed "Seht." By the time I got home, I had a few toys and props and a Petpet bed to assemble, along with a few books to read about desert Petpet care. By this point, the note had quickly slipped my mind. It wasn't until a few weeks later, when I was walking through the garden with Seht, that I found it. It was nearby where I had found Seht that day, and it seemed he had dug a few holes in the ground that day as well. He was digging one of them up when I noticed some paper sticking out through one of the dirt mounds. I walked over and picked it up, brushed some dirt off of the envelope, and read it. I hope you are well. Have a Happy Birthday and have an extra slice of cake for me. I'm doing fine, so don't try to worry about me too much, alright? I know you disapprove of pirates, but I really do love being out on the open sea -- I am happy. I hope you are, too. By this point, I had to stop and sit down, a little overcome with emotions -- I hadn't realised how much I really did miss her, it had been so long. Seht ran over to me and sniffed my hand; I smiled and stroked his back as he sat down beside me. I thought you might be a bit lonely in that big house all by yourself, so I got you a friend. He's not very smart, but he's pretty loyal, and if you treat him right, he'll never leave your side. I know he's not a good replacement for me, but hey, I think he has better table manners. I'm probably not going to come home anytime soon, but if I'm ever in the neighbourhood, I'll stop by. Stay safe until then, and remember that I love you. After I read the note, I wiped some tears away from my eyes. Seht looked over at me and gave out a little whine, so I took some deep breaths, smiled again, and started stroking his back. Content, he wagged his tail and gave out a playful bark. I grabbed a nearby stick and threw it, watching him sprint across the grass to retrieve it, and then watched as he proudly trotted back to me, holding the stick in his mouth. I sat on the grass and played with him for a good while, and it soon cheered me up and I forgot my troubles. Oh my! 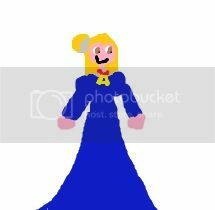 It seems I have been privelleged enough to have people draw my portrait! Thankyou everyone, I am truly humbled. You have captured me perfectly in this masterpiece ! Drai you are an amazing human being thank you so much!! Oh my gosh. Thank you for the art trade, Sabrina! Oh woah! This picture is amazing! Thankyou so much, Saria! Oh my gosh, would you look at this? Toxic was very kind and drew me! Thankyou so much! Well, I went diggin around the attic, and look what I found! 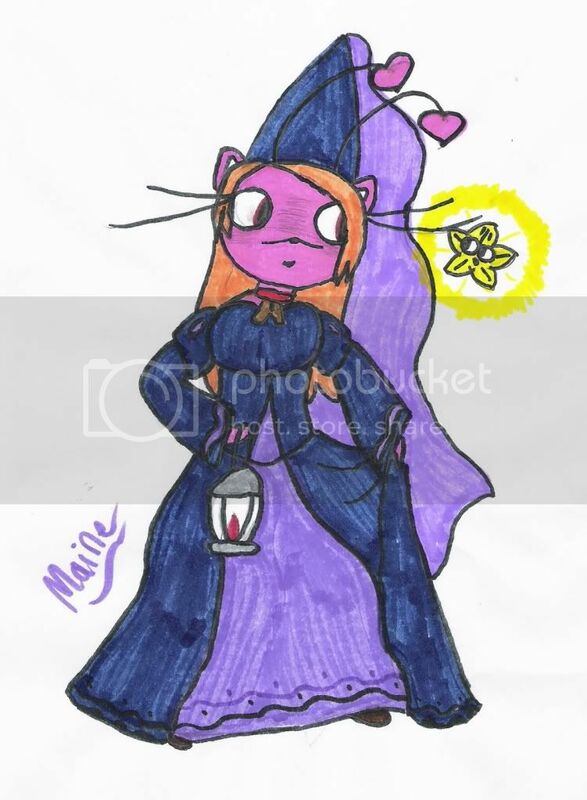 More lovely art that potm has drawn of me (: Thankyou so much. Oh my goodness! Aerynn, words cannot express my gratitude!! 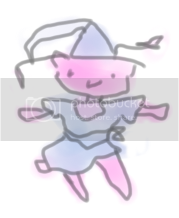 And you drew Seht as well! quite superior! Thankyou, potm (: It's certainly a nice feeling when any visiting kyriis leave! this was a gift from Emma . Oh my! Thankyou so much for more art, Potm! Oh wow! Thanks a lot, Sara ! ;________; You Two guys are awesome, you know that? OH MY GO- I mean.. -coughcough- Thankyou so much, PoTM! Astounding! such wonderful art of Seht! Goodness, more fan-art? How lucky am I! Thankyou, Maine! 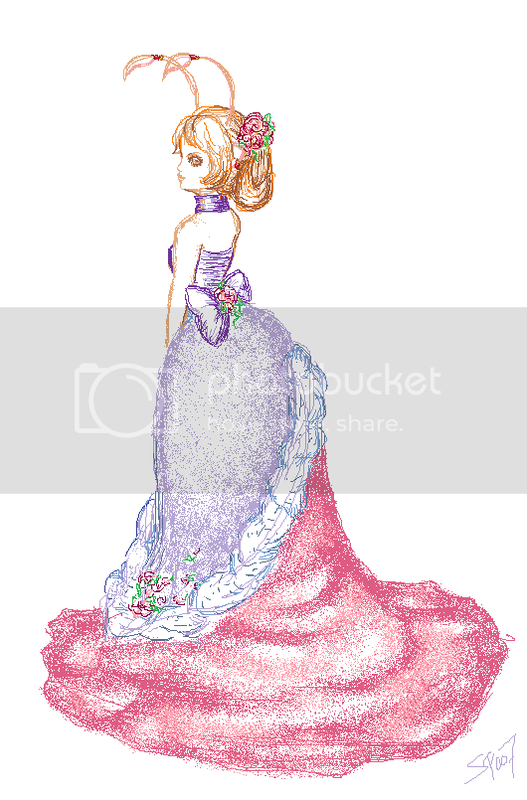 A lovely adoptable, I must say, though I'm not quite sure of my face.. it seems to be the trendy look nowadays I suppose. 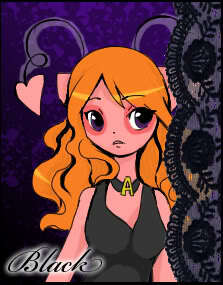 *mumbles* It looks a bit like me..
Oh My! unrequested fan-art, I thought such a thing were a myth! Thankyou ever so much, Dora! 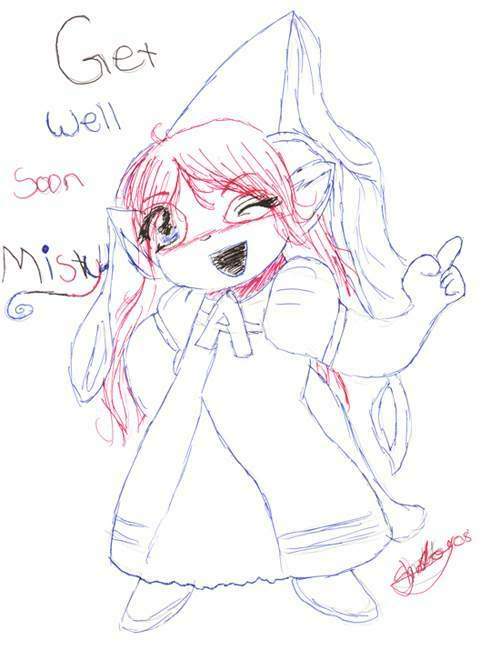 Well, as proof as to how truly kind some Neopians can be, Catherine drew this lovely picture for the lady when she was sick. Oh..! Don't I look simply lovely! Thankyou so much, panicattheheart! Despite your intrusion, it was nice having a guest for tea. I have a small quilt patch that you may use to link to my page. I'm sure that by now, you are quite enamored and would delight in using it to link to me! Well, I thank you for being a gracious vistor and hope to see you again soon. For now, I bid you good-day! It's always a pleasure to know about fellow Aishas, so I have compiled a list of names and links so you can visit them, I really do reccomend it. Would you like your Aishas, or perhaps your Lady's/Gentleman's link displayed here? It's quite easy.